With the rapid growth and use of online lending, financial institutions are hungry for a profitable way to meet customer expectations for rapid and easily accessible lending solutions. BSG Financial Group, a group of independently organized companies that provides revenue-enhancement and compliance solutions for financial institutions nationwide, announced today it has entered into a sales partnership with R.C. Giltner Services, Inc., to market that company’s digital lending technology platform called MinuteLender™. MinuteLender helps financial institutions provide fully compliant loans and lines of credit to their consumer and small business account holders. Using the MinuteLender technology platform—which operates under the brand and control of each financial institution—account holders are able to complete the entire online loan application on a computer or mobile phone and get approval and account set up in just minutes, vastly improving the lending experience. “With the rapid growth and use of online lending, financial institutions are hungry for a profitable way to meet customer expectations for rapid and easily accessible lending solutions,” said W. Barrett Nichols, CEO of BSG Financial Group. “We see MinuteLender as a strategic solution for financial institutions that want to recapture the revenue they are losing to non-bank lending alternatives, while enhancing their mobile and digital delivery strategy,” he said. The MinuteLender platform automates the entire loan process for the financial institution from application to funding, managing documentation and eliminating paperwork and loan officer involvement. This streamlined process allows the institution to profitably and safely fund smaller dollar, unsecured loans to consumers (up to $35,000) and small businesses (up to $50,000)—often at lower rates than non-bank competitors—thereby growing the institution’s loan volume. It also provides a profitable alternative for small loans under $1,000. Unlike non-bank solutions, MinuteLender allows the financial institution to maintain control of the entire lending process. The solution ensures complete compliance and provides account monitoring and risk rating reports to the financial institution. The cloud-based software is audited secure and keeps all identifying numbers, TAX ID and account numbers inside the financial institution’s firewall. “We are pleased to represent MinuteLender for R.C. Giltner Services, with whom we have had a long relationship and who is a pioneer in the digital lending space. This solution will enable financial institutions to provide affordable loans to account holders without losing them to non-traditional, non-bank lenders. It will be a true differentiator for our customers and prospects," Nichols concluded. Louisville, Ky.-based BSG Financial Group is a group of independently organized companies that provides revenue-enhancing programs—combined with compliance solutions—for financial institutions to help them meet their financial goals. BSG Financial Group has been a provider of innovative overdraft programs since 1999, including the industry’s first cloud-based overdraft management solution, CourtesyConnect®/CourtesyLimit™. The company’s additional revenue-enhancing solutions include: Demand Deposit Account Management; Fee-Based Packaged Checking Accounts; Vendor Management; Social Media Management; and Appraisal Management Services. BSG Financial Group includes the following companies: CourtesyCloud Management Solutions, LLC; BSG Financial, LLC; IQ Development, LLC; and Sales Performance Group, Inc. For more information about the company, visit http://www.BSGfinancial.com. About R.C. Giltner Services, Inc.
R.C. 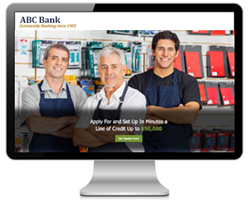 Giltner provides digital lending technology to financial institutions and is headquartered in Louisville, KY. For more information, please visit http://www.rcgiltner.com or contact Robert C. Giltner at 502-640-1989 or bgiltner(at)rcgiltner(dot)com.